We are a family owned, small-scale business located in Syracuse, NY. 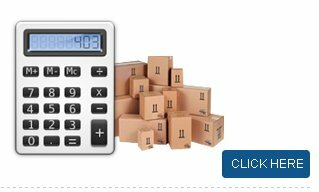 We supply good quality shipping boxes for your shipping needs. We take extreme pleasure in encouraging more and more people to consider raising and breeding all varieties of birds. We try to motivate them by helping them with solutions to their problem. One such problem was finding a way to safely transport these wonderful species. All enthusiasts who are breeders or hobbyist have faced this same problem over the years. When the US Postal Service started to accept live birds for shipping, it came as great relief for all bird enthusiasts. But the question remained, what carrier will be good enough to economically and safely cater to the needs of birds? This is where we realized that we could contribute. 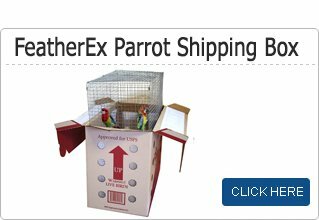 From our vast experience in breeding and shipping birds, we were able to come up with a carrier which would be your best choice in the market for shipping your birds. 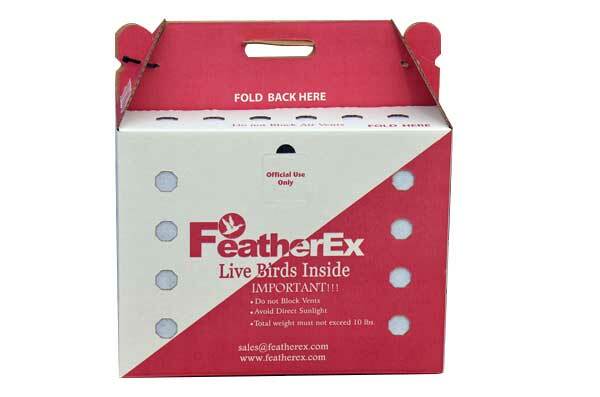 We are sure that, as a bird lover, you would definitely want your birds to feel at home, even inside the shipping box. FeatherEx Premier Boxes can meet the shipping needs of duck, pheasant and pigeon breeders, as well as those who want to ship doves, chickens, game birds, canaries and finches. Box weighs approx. 1 lb, 12 oz. Good for one to many birds depending on the size of your bird. Very easy to assemble, takes less than 30 sec to assemble it. Equipped with tie holes and easy-to-carry handle. © 2016 FeatherEx.com. All rights reserved.